Igor Merheim-Eyre is a researcher and ERASMUS+ project coordinator at the University of Kent. As the recent 60th anniversary celebrations in Rome reminded us of EU achievements (and shortcomings), thousands of cheery Europeans took to the streets with EU flags (including in the capital of Brexiting Britain) and spring sunshine over their heads. In Belarus, however, the annual Freedom Day was instead celebrated by grey weather, hundreds of arrests and excessive police brutality against peaceful demonstrators. Perhaps no other image captures the day better than that of an old man being assaulted and dragged away by three battle-geared policemen – a naked show of force against the weak and powerless. With the EU leadership remaining largely silent about the recent protests and a crackdown against the political opposition, events of the past weekend will make it unlikely for the EU to pretend to hear or see no evil. However, while the EU can no longer afford to simply stand by, the situation in Belarus requires a careful response. Severing links, as in the past, is no longer a viable option. Both Belarus as a country and Belarusian society are undergoing change – one does not need to stick to official government reports stressing the willingness to engage with the EU, it is simply enough to walk passed the hipster bars on Minsk’s Lenin Street, or to speak Belarus’ highly-educated young people. At the same time, Belarusian society remains caught between a political opposition that is largely alien to them and too busy engaging in in-fighting to offer an alternative, and a regime that is by nature repressive (but not necessarily unpopular), and attempting to walk a delicate geopolitical tightrope between Russia and the West. Crucially, we need to understand that up until now the protests (triggered by the so-called Parasite Tax) were more a response to worsening social conditions caused by a deterioration of the Belarusian economy, than against the regime per se. In the EU, both analysts and policy-makers need to be careful not to interpret the causes of the protests as the embracing of individual freedoms (although with on-going arrests and heavy-handed responses the protests may indeed take such shape), but rather an emphasis on social security that has been at the forefront of the Lukashenko regime’s popularity for the past two decades. With the regime’s increasing inability to provide social security and (whether justified or not) growing fears of a Maidan-inspired uprising, tensions in Belarus are growing. No doubt, the EU will sooner or later need to respond but, unlike in the past, it must refrain from isolating Belarus – any moves to reinstate sanctions would merely hamper changes that have already taken place, and would merely strengthen the repressive forces that seek to hamper change. Instead, while the Union must insist on the immediate release of peaceful protesters, it must also keep channels of communication open, if only for the sake of Belarusian society. Firstly, technical cooperation with Belarus must continue. Cooperation in areas such as border management and migration kept vital lines of communication open even following the 2010 Presidential elections. In fact, the Belarusian border police has shown itself as both willing to reform and even to engage (on its own initiative) with issues including human rights, creating hopes that such changes may also occur in other government institutions. Such low-key and non-politicised reforms must continue and, indeed, ought to be encouraged in order to foster gradual institutional change. Secondly, the EU must continue to project its soft power by encouraging exchanges and study visits. In particular, Erasmus+ but also Horizon 2020 offer opportunities for establishing links and dialogue between students and academics. It is not only an opportunity to project the EU’s attractiveness as a place of tolerance and freedom of expression, but also to gain from the world-class research expertise (the Belarusian State University belongs among the top 2% of the world’s best universities) conducted across all disciplines by Belarusian academics. Thirdly, it is time the EU eased restrictions for Belarusians travelling to the EU. 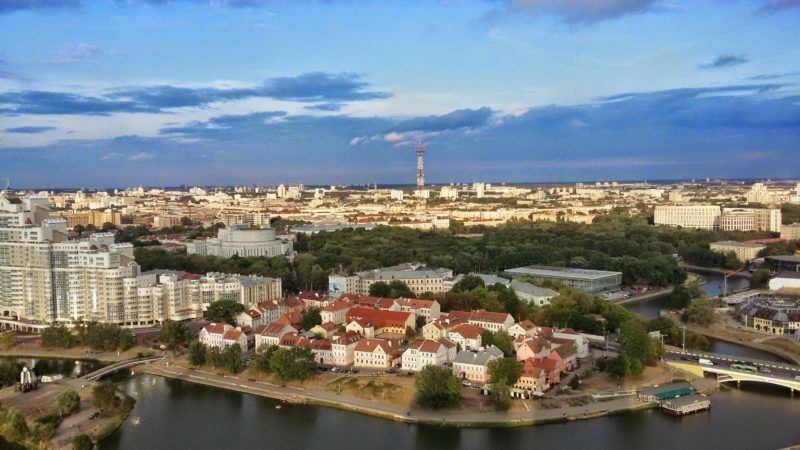 Ironically, with recent steps taken by the Belarusian government to provide a five-day visa-free travel to citizens of 80 third countries, Belarus is currently more open to EU citizens than the EU is to Belarusians. If the EU is serious about supporting change in Belarus, it must stop making excuses that a visa-free regime can only be established upon the fulfilment of human rights conditions. This approach is counter-productive, and only affects the very people who we ought to rely on to bring lasting change to Belarus – the citizens. In other words, the EU must look for partners beyond the political opposition: civic activism in Belarus is alive and growing, and the EU needs to learn to seize the moment. Conversely, the opposition remains largely divided, and lacking both an alternative message and appeal among Belarusian citizens. To this end, the EU must create conditions for dialogue by opening up possibilities for the population as a whole rather than acting as a self-righteous crusader. The crackdown on protesters and the brutality shown by the police in the recent days must not be a reason to isolate Belarus through punitive measures. By severing dialogue, we merely limit the possibility for its citizens to bring about change. Now is not the time to isolate Belarus; instead, it is time to show bold willingness to engage, to foster conditions for change, and empower Belarusian people and institutions to bring about that change.